The GreenRoad Driver Behaviour solution uses a dashboard traffic lights-style system to provide drivers with real-time feedback on their driving style, including speed, braking, acceleration, lane-handling and turning. Driving decisions are responsible for 90 percent of all accidents and up to 33 percent of fuel spend, according to research by GreenRoad. Megabus.com, one of the largest privately funded providers of city-to-city express bus transportation, maintains the highest (Satisfactory) safety compliance rating with the Federal Motor Carrier Safety Administration. Transportation Safety Exchange (TSX), an independent safety rating organisation that provides safety ratings of more than 300,000 passenger and freight carriers, announced in January 2014 that all megabus.com carriers are TSX-approved. 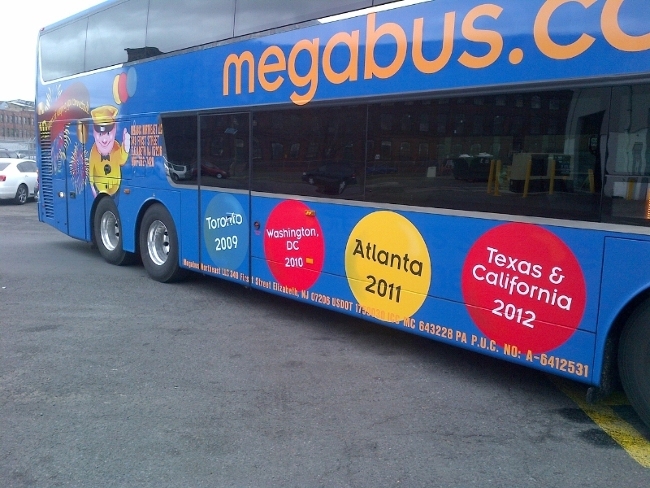 Megabus.com is the first carrier group to achieve TSX approval, demonstrating the most stringent safety standards in the industry.